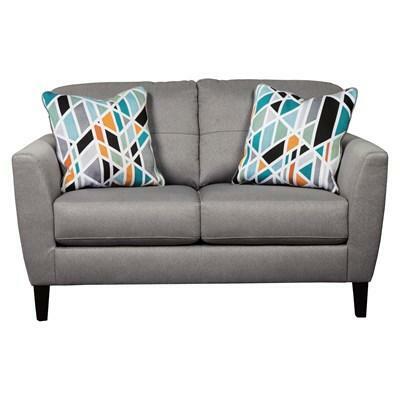 The Benchcraft Inmon loveseat features jumbo stitching, tapered arms and a charcoal upholstery making it the perfect addition to any living space. 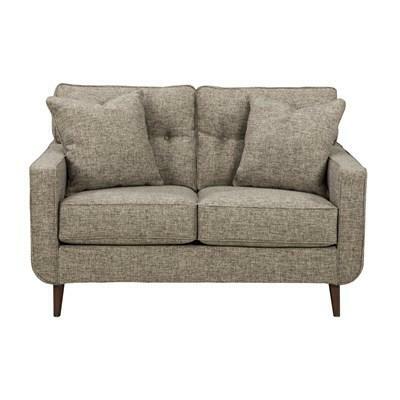 Indulge your love affair with mid-century design with the Benchcraft Dahra loveseat. 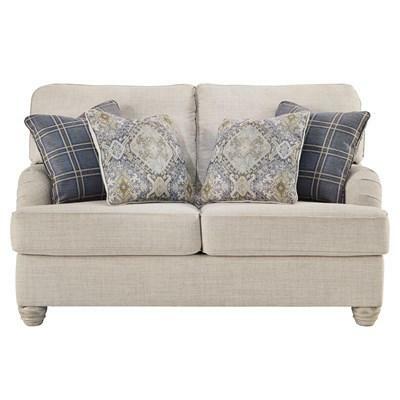 Sporting crisp, tight tailoring, menswear-inspired fabric with subtle button tufting and flared peg legs, it’s retro-chic styling at its very best. 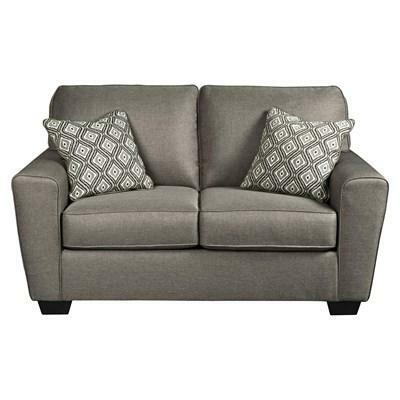 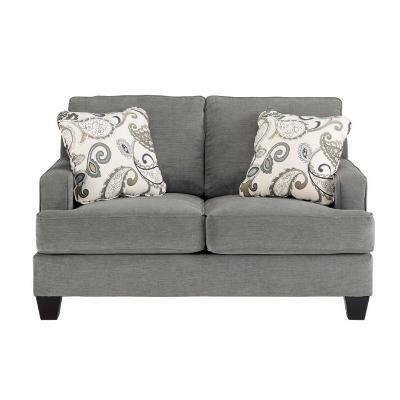 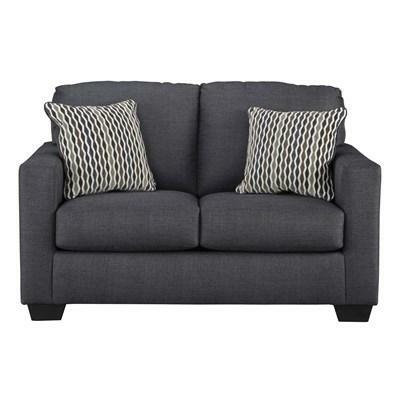 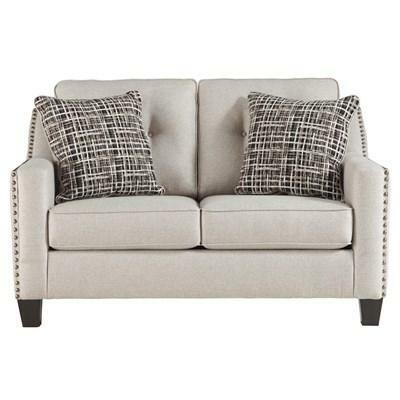 Add contemporary style to your living room with the Marrero loveseat featuring track arms with a nail head trim, tapered feet and a fog colored upholstery. 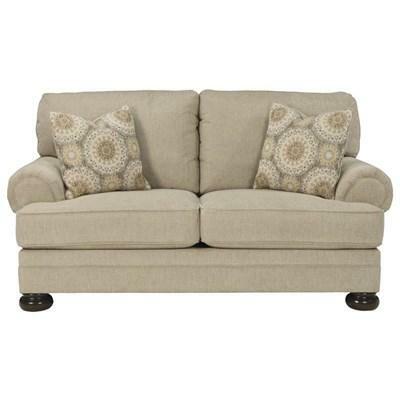 Beige is anything but boring thanks to the Ashley Benchcraft "Tailya" Loveseat's cheerful citrus accents. 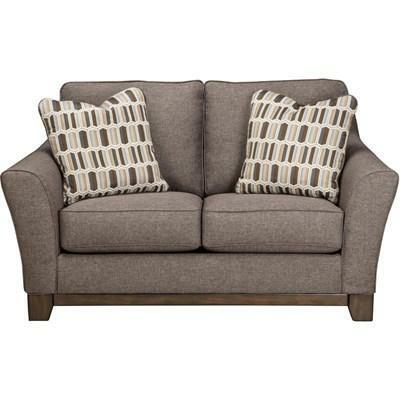 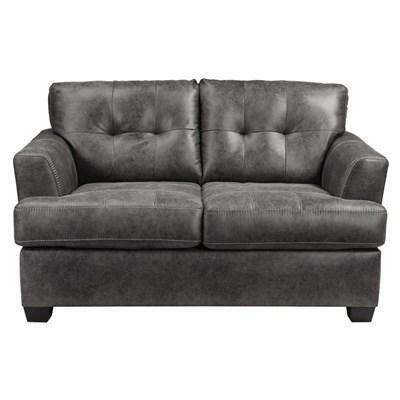 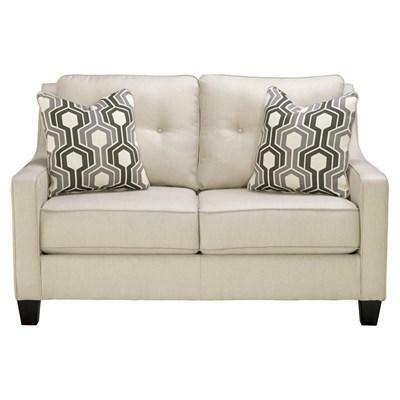 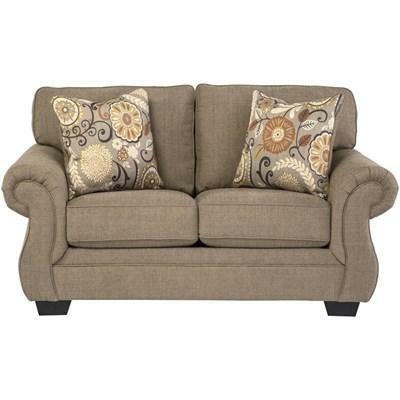 The exposed feet with faux wood finish and padded rolled arms add style and comfort.